Today let’s review New Tampa home sales in August. The number of Homes Sold (135) increased 5.5% compared to August a year ago and 7.1% compared to July 2016. Total Sold Dollar Volume was 6.9% more than August 2015 and 9% higher than July 2016. The Median Sold Price stood at $250,000 — a 4.4% decline compared to August 2015 and a 4.2% rise from July 2016. The Average Number of Days a Home Stayed on the Market (60 days) decreased 14.3% compared to August a year ago and 3.2% compared to July of this year. Months of Supply which measures how many months of housing inventory remain based on current sales trends came in at 2.94 months, up 1% from August 2015. 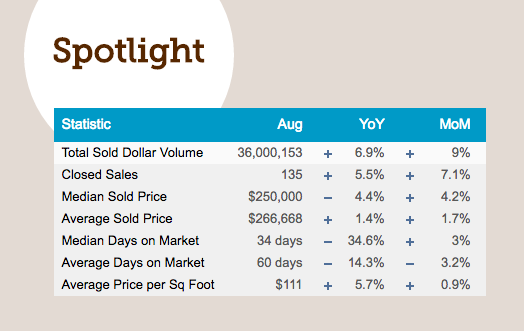 Active Listings dropped 1.9% compared to last August and stood at 326 for the month. So the market remains strong for sellers and highly competitive for buyers. New Tampa homes are selling faster than a year ago, but at a slightly lower median price. The Fed did not hike rates at their most recent meeting, but they may as the year wears on. Look for the seller’s market to remain solid into the fall, as demand is still outpacing supply — and buyers seek to take advantage of low mortgage rates. 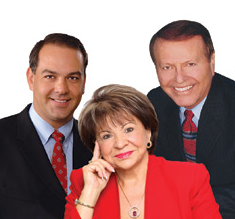 If you’re ready to sell, contact us and let us focus our expertise, experience and award-winning client services on helping you sell your home quickly and for top dollar. If you’re a buyer, please call us. Our skilled and experienced BUYER’S agents will position you to move fast and negotiate smartly in a very competitive SELLER’S market. For the past three years, 92% of all buyers have used the internet in their home search according to the National Association of Realtors’ most recent Profile of Home Buyers & Sellers. The summer has been a hot one for real estate, and the trend toward a strong seller’s market was underscored Thursday as the National Association of Realtors released its latest existing-home sales figures. Sales were down 0.9% in August, but not for lack of buyer enthusiasm. Instead, it’s because inventory is drastically low. With fewer sellers out there, price pressure is on the rise. The median sales price was up 5.1% from last year. What is Trended Credit Data? Credit Scores Look Deeper. Fannie Mae made a big announcement last week regarding their desktop underwriting system. In 2016 they are going to start using trended credit data. You may not have heard this term before but trended credit data is really looking at your utilization ratio and they’re looking further back in credit history than they have in the past. This is primarily because Fannie believes trended credit data is a better predictor of someone’s ability to repay a debt. According to the National Association of Realtors, first-time home buyers represented 53 percent of people who purchased homes last year, despite a common misperception of millennials as lifelong renters. In Washington, it is still a sellers’ market. The 10-year Treasury yield declined after last week’s post-Brexit high in anticipation of the Fed’s September policy meeting. The 30-year fixed-rate mortgage followed Treasury yields, falling 2 basis points and settling at 3.48 percent. Despite the decrease in rates, the Refinance Index plunged 8 percent to its lowest level since June. 30-year fixed-rate mortgage (FRM) averaged 3.48 percent with an average 0.6 point for the week ending September 22, 2016, down from last week when it averaged 3.50 percent. A year ago at this time, the 30-year FRM averaged 3.86 percent. 15-year FRM this week averaged 2.76 percent with an average 0.5 point, down from last week when it averaged 2.77 percent. A year ago at this time, the 15-year FRM averaged 3.08 percent. 5-year Treasury-indexed hybrid adjustable-rate mortgage (ARM) averaged 2.80 percent this week with an average 0.5 point, down from last week when it averaged 2.82 percent. A year ago, the 5-year ARM averaged 2.91 percent.